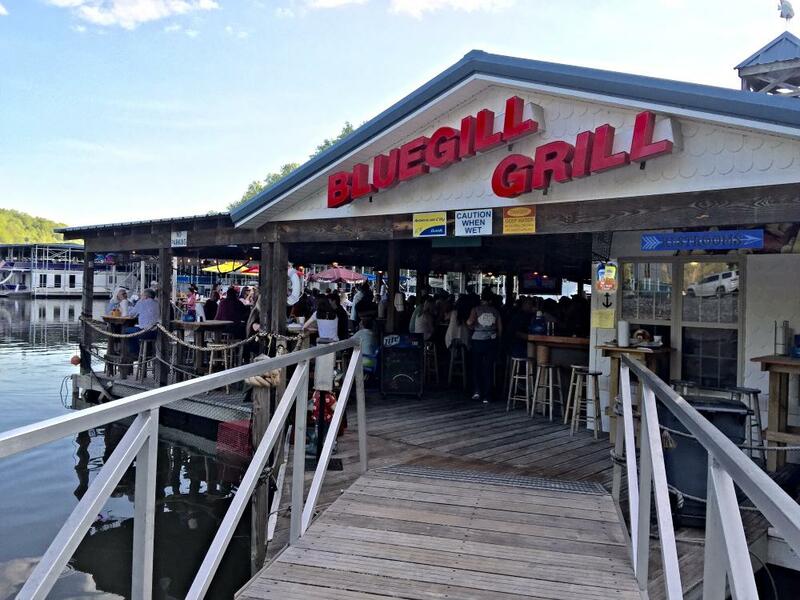 THE BLUEGILL GRILL Is now open for the season! Welcome to Holiday Landing Marina & Resort! Located on Tims Ford Lake in Tullahoma, we are southern middle Tennessee's most popular destination for lakeside cabin rentals, pontoon boat rentals, and boat slip rentals. Holiday Landing is also the home of the only full-service restaurant on Tims Ford lake, the Bluegill Grill. The Bluegill Grill is now closed but will reopen in April 2019. We serve a traditional Southern breakfast each morning from 7-11 am, after that, our menu features fried seafood baskets, hamburgers, New Orleans style sandwiches, rib-eye steaks, hamburger steaks, seafood gumbo, and more. On Fridays and Saturdays we feature an item that is not on our regular menu, grilled or blackened salmon. This year we will not feature any other specials, as salmon has proven to be the customer favorite! Free live music for the guests of the marina and diners of the Bluegill Grill happensalmost every Saturday night in the late spring and summer. Pontoon boat and party barge rentals available each day from 9 am to 6 pm every day during the spring and summer, and when weather permits in the fall and winter. Cabin and room rentals are available all year. Holiday weekend and Saturday reservations for this summer are already booking quickly, call 931-455-3151 today to make yours!